Home Blog Should you move to Thailand? By moving to Thailand, you can cut your cost of living by two to six times, and probably have a higher standard of living than you would have in a big city in the US or UK. NomadList currently estimates that you can live in Chiang Mai for only £400 per month, and flights from London can be had for £500 return. There’s several other cities in Thailand, Vietnam and Eastern Europe, which offer a cost of living under £900 per month. A nice, serviced apartment on short-let. Plenty of good cafes and co-working spaces. Big community of international remote workers. No visa required for 3 months. Set up within a day. 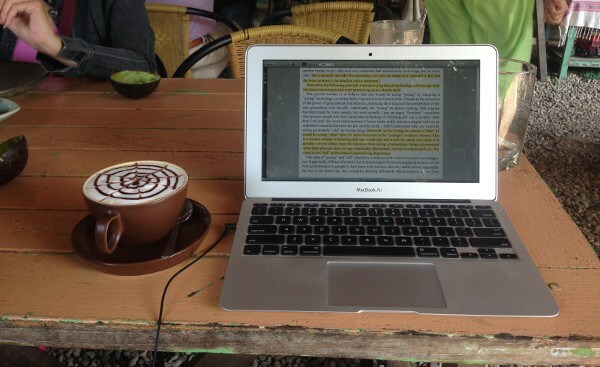 See two reviews of Chiang Mai for remote work here and here. This standard of living would probably require £2,000 – 3,000 per month in London or San Francisco (NomadList estimates it’s towards the upper end). For a guide to other cities, see this great ranking by NomadList. If you want to do unpaid work for a while – for instance to test a new project, volunteer, write a thesis – in Thailand you’ll be able to live for two to six times as long on your savings: a couple of months salary could tide you over for an entire year (though you’ll need to go in and out to renew your visa). If you can do remote work, you can boost to your disposable income for savings, donations or investing in training. On a typical graduate starting salary in the UK, you’ll have about £1,500 income post-tax. This will almost all be absorbed into living expenses. In Thailand, you’d have £500 – £1,000 left over, and probably a higher standard of living. That’s £6,000 – £12,000 extra per year post-tax. Alternatively, you could accept a lower salary but dramatically cut your hours. This is again useful if you want to spend the majority of your time doing something unpaid. It seems relatively easy for graduates to pick up remote freelance editing at £7-£12 per hour on oDesk. At those rates, you’d only need to work 12 hours a week to pay the bills. Although it’s difficult to find a fully remote job, they’re becoming more and more common. They’re also often paid less, so you’d need to check the cut in living costs was definitely worth it. Remote jobs are easiest to find in web development (yet another reason to learn!). See a list of full-time, remote software job openings here. Another route is to take a normal job, then if you perform well, negotiate to work remotely. The Four Hour Work Week contains a guide on how to do this. You can also search directly for remote jobs on regular listing sites. Here’s a list of 100 major companies that often hire remote workers. This job listing site specialises in remote work. See the full range of work pursued on oDesk here to get ideas for what you could do. Check out Ramit Sethi’s guide for starting highly-paid part-time freelance work. Have you had any experience with remote work? What resources would you recommend?